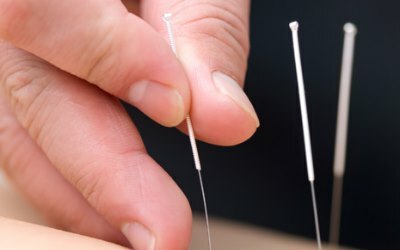 Acupuncture involves inserting very fine needles into points along the meridian (a pathway on the body where energy flows) in order to restore the human body to balance and harmony, thus, healing the illness. Our Acupuncturist, Frederic Cheung, R.TCMP., R. AC., is an active member of the Chinese Medicine and Acupuncture Association of Canada. Frederic is also part of a team that was elected as the 2019 Consumer Choice Award recipient in the category of Acupuncture – DURHAM REGION. Book Online or call us: 416-469-3879. How do you know what to fix? In order to discover the root of the imbalance, Chinese medicine uses a four step procedure in examination. They are observation, listening/smelling, inquiry, and palpation. Based on the finding, the practitioner will then be able to prescribe the proper treatment to correct the imbalance. Certain sensations are expected such as tingling, numbness, and pressure. This is called “de qi” (arrival of energy). Otherwise it is not painful at all. No. It is normal to feel a ‘good tiredness’ (relaxed) feeling after the session. The energy flows best when the body is not stressed out. No, payment is required upon time of service. You will be given an invoice to submit to your insurance carrier. Most carriers provide some form of chiropractic coverage. Our Cancellation, Missed Appointment, and Rescheduling Policy: As a courtesy to other clients and our therapists, 24 hours’ notice is required for all cancellations and schedule changes. This helps to ensure that clients who require an appointment are able to access one. If notice isn’t given within 24 hours, half of the original treatment fee will be charged for appointments cancelled, missed or rescheduled. Thank you for your understanding.